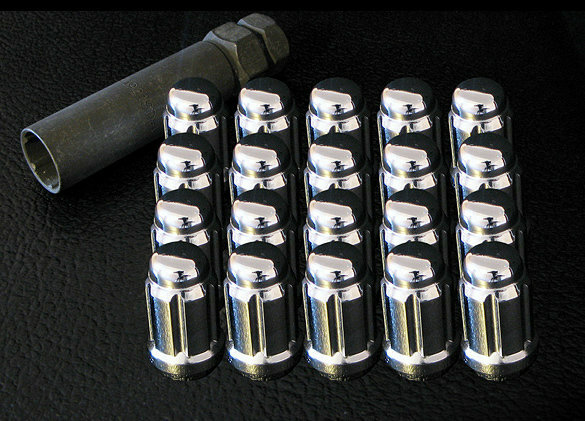 Set of 20 spline chrome lug nuts made specifically for RonJon Sport Design brand wheels. Our lug Nut set is especially designed for Honda and Acura vehicles, perfectly compatable with RonJon Brand Wheels. They add security and prevent damage to wheels' lug holes during installation by utilizing the thin wall socket key for adequate clearance. Replacement keys are available.